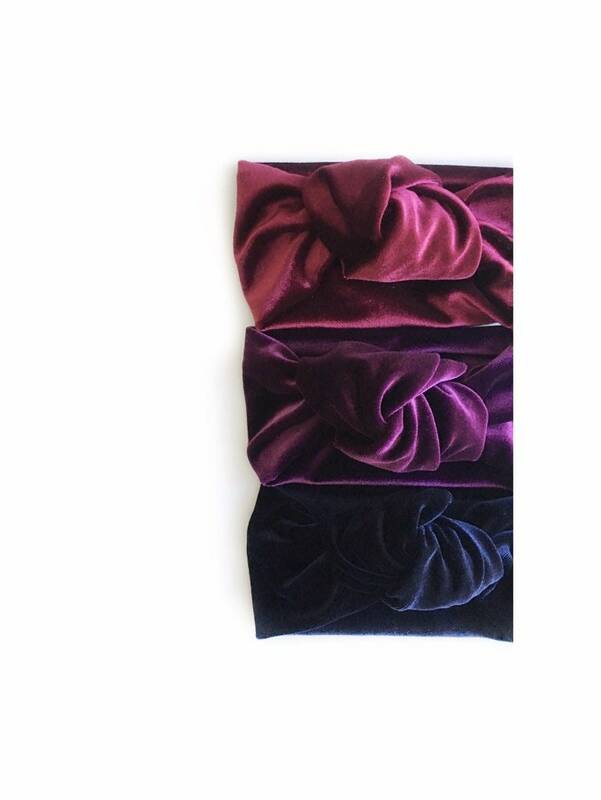 NEW Holiday Colours: Cranberry, Grape, and Midnight Blue. They are all even more luscious and gorgeous colour in person. I honestly cannot pick just one colour. They are all unique and beautiful in its own way. 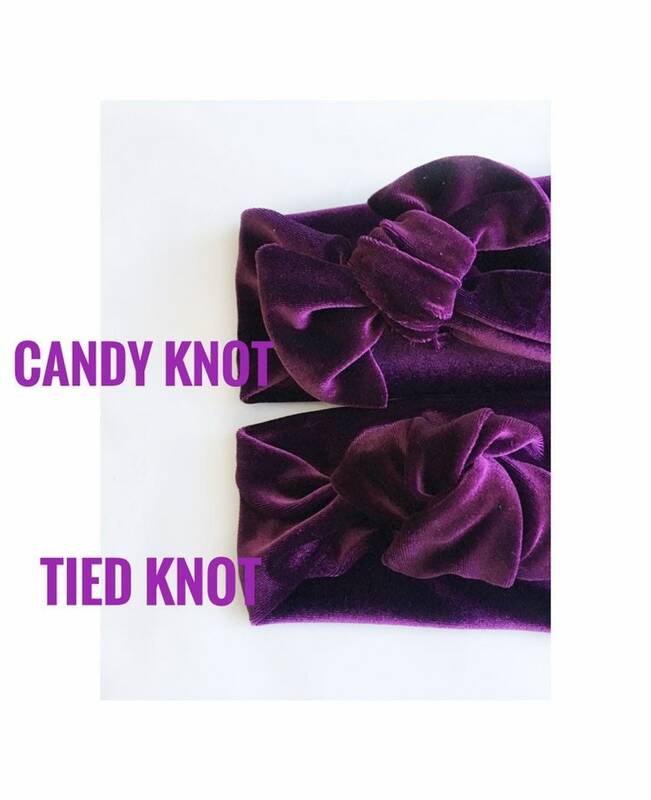 1) Candy Knot-- shipped as untied and you can simply tie it yourself. It gives you more freedom to play around with. 2) Tied Knot-- shipped as tied. 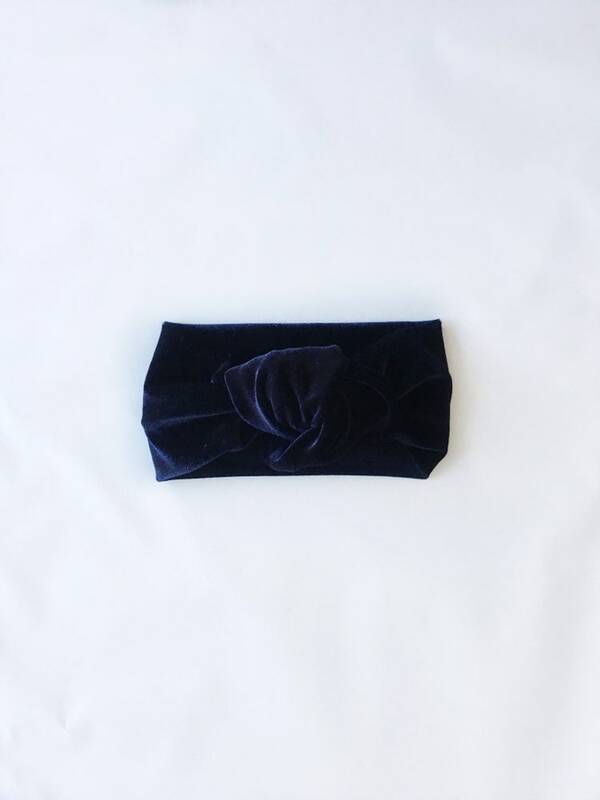 The topknot part can be adjusted to fit your little one's head. Refer to the third photo for examples.